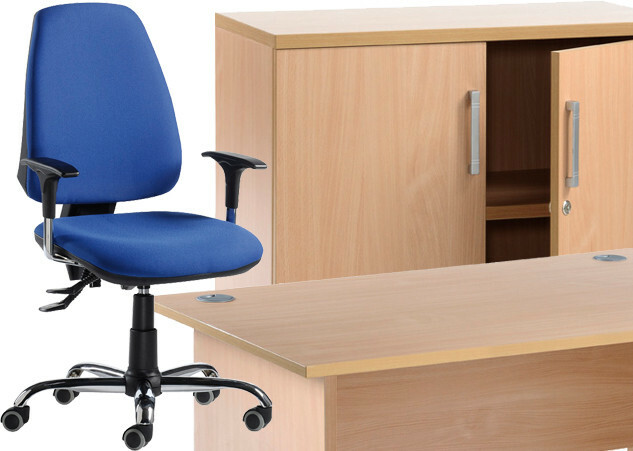 Whether you are looking for a straightforward desk and office chair, or executive furniture of distinction to make a statement, Superior Storage Solutions have a massive selection of office furniture to suit every pocket. As many people now have a home office we are able to provide solutions for those wishing to find office furniture to fit within confined spaces. We don’t just start and end with desks and chairs. Take a look at our excellent storage solutions including wood or steel filing cabinets, cupboards and bookcases. We also supply free standing screens which are really useful as a temporary dividing system, boardroom desks and furniture, and even a range of bistro tables, chairs and stools suitable for your canteen. 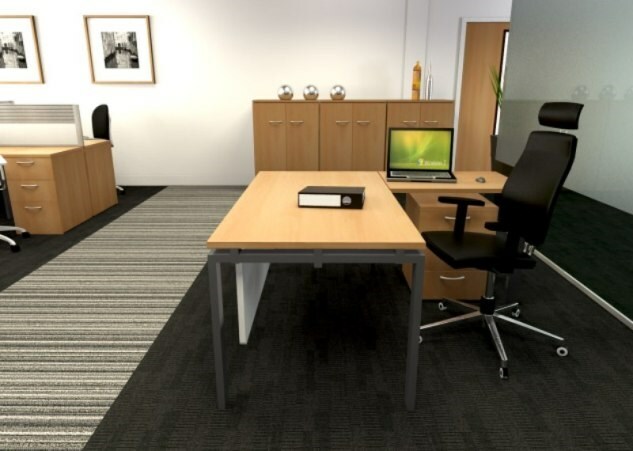 Whatever you need for your office furniture we are sure to be able to satisfy your requirements and will be only too pleased to help in every possible way. Office Seating: Office seating is so important when you realise the impact that it can have on your working day. When seated at the correct position, your body will be more relaxed and less prone to aches and pains. Seating isn’t just about finding a good looking office chair; it’s about finding one that’s good for your body and shape. From task chairs to draughtsman chairs, and cantilever chairs to visitor chairs, we have them all. We have an enormous range and will be very happy to provide advice to help you make the right decision. Office Desks: Office desks have changed over recent years due to advent of flat screen monitors. 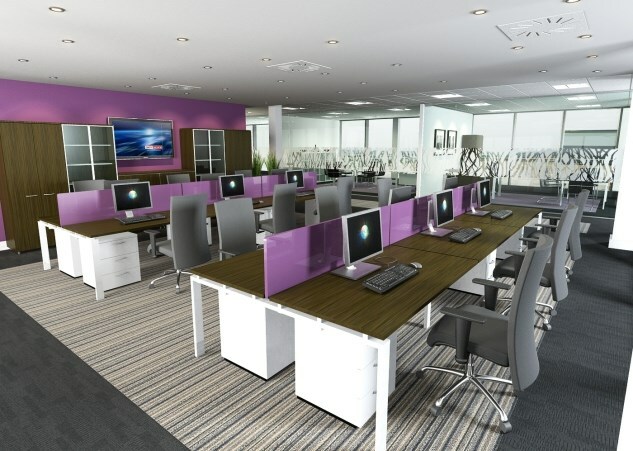 This is having a huge effect on space planning enabling smaller footprints and increasing the amount of people that can work within a set space or increase the open plan feel of an office. 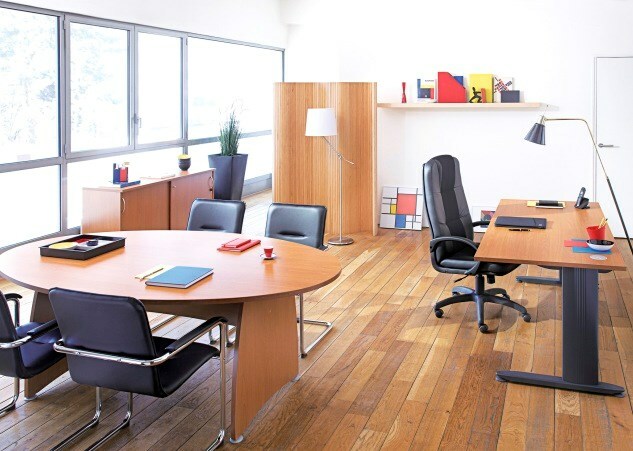 Office Storage Solutions: At Superior Storage Solutions, we can provide a myriad of office storage solutions in both timber and steel, built in or freestanding, fixed or mobile. We supply many office storage products such as: Storage walls, lockers & cupboards, tambour and filing cabinets, mobile shelving and desk storage to name but a few. 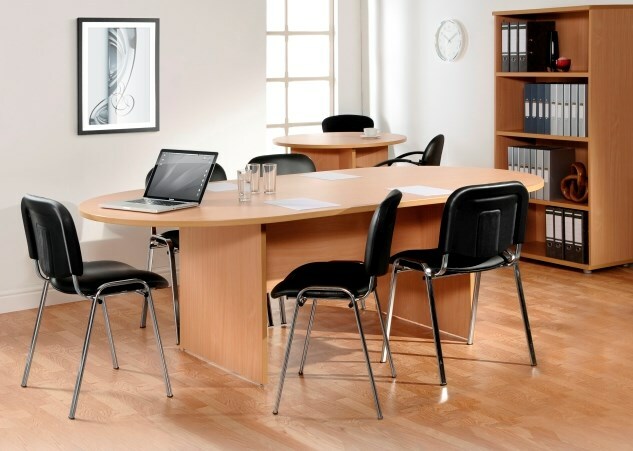 Office Tables: We supply all the latest office table styles including conference tables as well as standalone tables and meeting room tables. Reception Furniture: The first area your client sees when walking into your office is your reception area and therefore it is important to make the right ‘first impression’. Superior Storage Solutions offer a wide range of off the shelf modular reception counters guaranteed to suit your requirements. Breakout Furniture: Breakout Furniture is not only practical, it’s also ideal for adding a sense of fun and style to a space. Breakout areas are a great place for staff to take a break from their desks and for groups to have informal meetings. From a design point of view, breakout furniture can really add the WOW Factor to a space, with a wide choice of colours and styles. Please call our customer services team for details.